I never expected that one of my sons would want to be a soldier. I do not know why it was such a surprise. Looking back through old photo albums, I can see that he was always in uniform. From Superman PJs to Scout uniforms to the camouflage shirts, canteens and cap guns, I guess it should have been obvious. 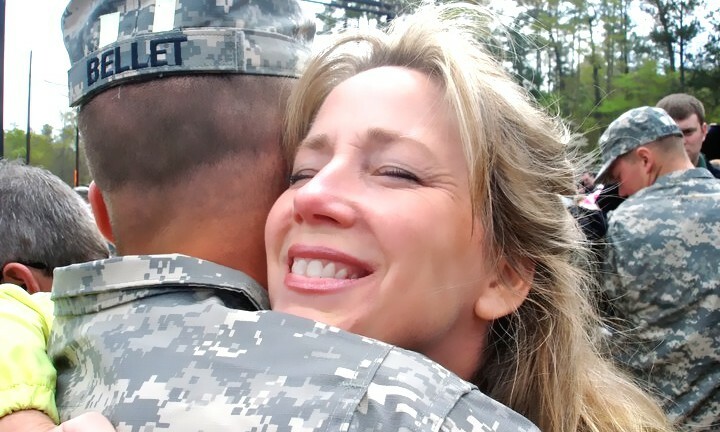 It is just that neither my husband nor I had any military in our backgrounds. When my son announced that he wanted to attend WestPoint I secretly hoped that he would not get in. It is terrifying for a mother to imagine her child in battle. But he did get in. It wasn’t long before we loaded up the 15 passenger van and made the drive from Nashville to check the place out. Entering the Academy we had to pass through a rather sobering checkpoint at a gate called Stony Lonesome. As a songwriter I thought: “Wow, what a cool sounding name!” As a mother I thought: “… Oh…no…!” I knew there would be a lot to contemplate in that name, and I knew it had to be a song. Stony Lonesome is a mother’s reflection on having a soldier son. The military life makes it very obvious that your children are not your own. You form your child’s conscience in faith and high ideals, you protect their heart for the rigors of sacrificial love, you teach them to do what is right no matter what and then…you let them go. A soldier has to see things, know things and do things that he cannot tell anyone, not even his closest family and friends. He sacrifices the shared history we take for granted. But he gains a shared purpose with his fellow soldiers, which is a bond few feel in civilian life. He enters a world that casual cocktail conversation does not understand, and he takes on that isolation. He reminds us by his strength and vulnerability that we are all called to be part of something much larger than ourselves. All of our big talk about “Thy will be done” is laid bare. What a gift it is to have a soldier son! It took me four years to write Stony Lonesome. For all of you with a soldier in the family, I hope you will recognize yourselves in this song. May God bless our soldiers and their families. And he’s got to make the grade? Every man who stands with him ? Who could be Stony Lonesome?